Structural steel construction: Two structural ironworker erectors wait to receive next structural steel beam to erect. 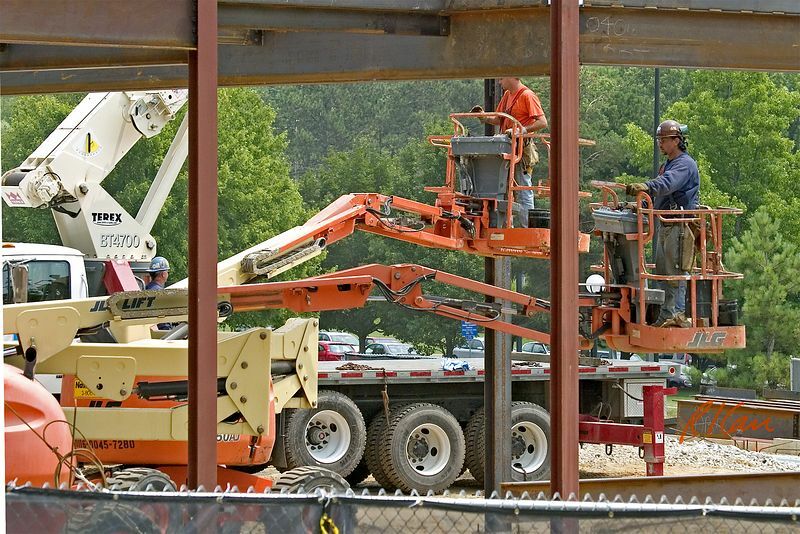 Workers are supported by JLG electric boom lifts that are controlled from worker platform. Terex truck mounted erection crane is in background, and we can see its truck bed and its driver side rear outrigger (red) extended to stabilize its base while lifting steel. Biomedical Engineering, North Campus, University of Michigan, Ann Arbor, 2004.